Harry was born in Forge Cottage (No 4 High St, Harston) on 21 February 1893 and baptised at Harston church. He married Emily Elizabeth Dockerell of Horseheath in 1916. They had three children Eric Oswald, Ronald Harry and Pamela. He died on 29 January 1971 at Papworth Hospital and is buried with his wife in the Button End cemetery. Harry went straight from school into the family blacksmith business but with the advent of World War 1, he joined the Royal Field Artillery as a blacksmith and served in Ireland and France. On his return, he went back into the family blacksmith business which was still being run by his father, uncle and brother. 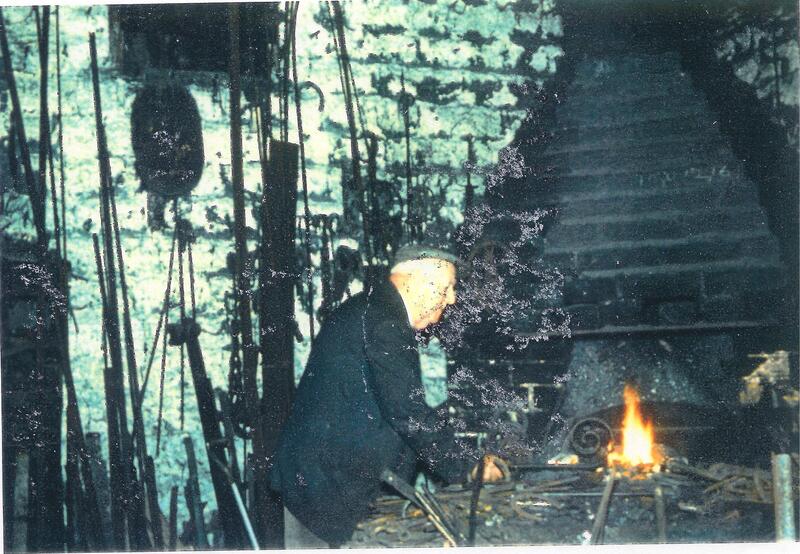 With the death of his uncle in 1928, his father in 1934 and his brother in 1956, Harry continued to operate the forge. He carried out a full range of horseshoeing, metalworking, manufacturing and repairing services, but the last horse was shoed in 1965. As the demand for traditional smithy products declined, Harry turned to wrought iron products, examples of which can be found around the village. The weather vane on top of the village hall was made by Harry and his father. Harry also made the gates at Harston House, Newton Hall and Sunbourn. Harry was very involved in village life. He had been on the parochial church council for over 40 years and also on the committee of the village hall, horticultural society and Conservative association. In World War 2 Harry was one of the village air raid wardens. Many residents have childhood memories of visiting the nearby forge after school where Harry would allow them to work the bellows or watch him shoeing horses. Mary Greene described Harry as ‘a fellow artist. He is not above receiving a present of some eating or cooking apples and having a talk over the best sorts for he is a connoisseur in apples’. 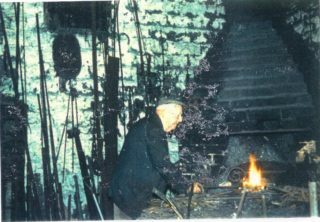 With Harry’s death, blacksmithing in Harston came to an end and the Forge was demolished. But the examples of his work and the road (Lawrance Lea) named after him are still there as reminders.